ATTENTION: Queen set come with one (1) Duvet Cover 90" by 90" and two (2) King Pillow Shams 20" by 36". Set DOES NOT include any INSIDE FILLERS AND ACCESSORIES. DREAM CATCHER ANIMALS: A beautiful Native American design in golden brown hues and a dream catcher. 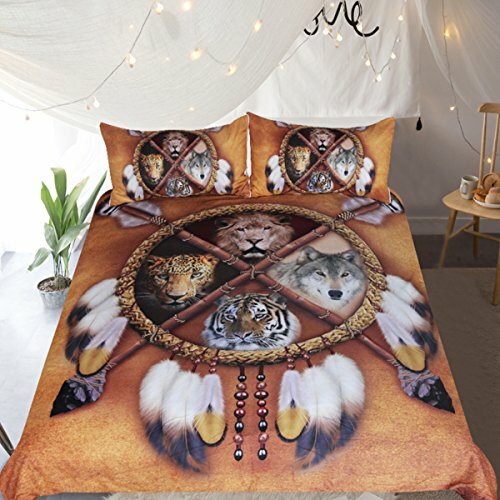 Dreamcatcher dived by four animals gives the room impression of peace.